Looking for a Career Counsellor in Sydney? look no further. Jane Lowder began her working career the way many people do – falling into job after job – none of which turned out to be an exact match for her key interests and skills. After spending over a decade working as a teacher, adult trainer, marketer and practitioner of change management, and not really enjoying any of it, Jane realised she needed to take decisive steps to find a career that was a better fit for her personality and the things she loved doing. Taking the skills and insights gained from her time in the workforce, and her belief that your career should reflect who you are and what matters to you, she decided to pursue her real interest - helping people transition to careers that would be meaningful to them. Her hard–won wealth of ‘real world’ job–transitioning experience, coupled with her coaching expertise, has since enabled her to successfully assist over a thousand individuals to identify and engage with the career path that’s right for them. 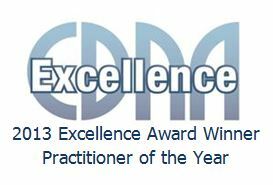 Known for her engaging and confidence–approach with her clients, Jane is the winner of 2013 Australian Career Practitioner of the Year award. Her commitment to excellence saw her develop a best practice career program for the National Rugby League, which resulted in the ‘National Employer of the Year’ award granted by the peak body for career development in Australia. Read more out the exciting work Max Coaching has been doing with the NRL. Regardless though of where her career takes her, Jane remains committed to the original ideal that underpinned the founding of Max Coaching – that everyone should have the opportunity to discover the career that best fits their preferences and skills. Jane is currently completing her Masters of Organisational Coaching at the University of Sydney, is a Professional Member and former NSW committee member of the Career Development Association of Australia, a certified Career and Executive Coach, an accredited MBTI® Administrator, a qualified teacher and a member of the University of Sydney Coaching and Mentoring Association. Those who know Alicia invariably use four words to describe her: Energetic, Enthusiastic, Inspirational, and Challenging. Former academic and a university lecturer in Mathematics with over 15 years of corporate experience as a leader and manager of a group of specialists, Executive Manager, Adviser to the Managing Director of a major European bank, and Human Resources Executive, Alicia has always followed her passion of helping people to achieve their potential and to excel. Through multi-discipline industry experience and senior management leadership roles, Alicia has developed a wealth of hands-on commercial expertise. She specialises in providing career services for professionals, managers and executives, helping to create the career you want, make sound career decisions, develop your job search strategies and skills. Alicia has a thorough understanding of employers’ needs, what it takes to get a job you want and manage your career within organisation. With varied career, Ph.D in Mathematics, she coaches for effective transition from specialist to managerial and leadership roles. As a Human Resources Executive at the Commonwealth Bank she directed high profile projects such as: barriers to the women’s advancement in the workplace, employment and management of mature age workers, the bank-wide Employee Workplace Survey, employee engagement and post-exit interviews. She represented the bank on the National Diversity Think Tank. Alicia holds post-graduate qualifications in career development and career management, and also in professional counselling. She is a certified administrator of the Intentional Leadership program, the Myers Briggs Type Indicator and the Team Management Systems assessment, as well as is certified in Behavioural Interviewing and Image Consulting. Alicia is a Fellow Member of the Career Development Association of Australia (formerly known as the Australian Association of Career Counsellors) and past President of it’s NSW Division. She has also held professional membership status with the Australian Institute of Management and the Australian Human Resources Institute. Alicia has published articles in magazines and peer reviewed journals, and she was awarded inclusion in the International Who’s Who of Intellectuals, Cambridge for her achievements during her academic career. Recognised as an inspirational leader, excellent coach and mentor, Alicia easily interacts with people at every organisational level, builds relationships of trust and enlists the participation of those she works with. With her professional background, experiences and her own career transitions, she builds easily rapport with executives, managers, professionals, and specialists of scientific, IT and technical backgrounds. She is an expert in coaching for effective transition from specialist to managerial and leadership roles. Her motto ‘Equipping people with the career key steps of know-what, know-why and know-how’ reflects her passion and commitment to helping people create the career they want and achieve their goals.